Need a fun “winter” center activity? 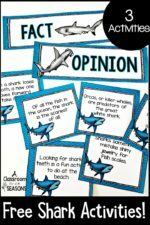 Use these fact and opinion statements to set up a quick and easy sort for your classroom. Click on the image above to download this free resource.